I previously wrote about Microsoft’s Surface Book pricing. Looking at the models and their prices in the context of Apple’s comparable offerings I posited that Microsoft priced it not based on customer value but from its cost perspective. 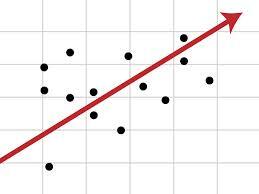 Here I want to show a simple linear regression model to add some evidence to the claim. Please note that there are just 13 data points and this regression is not about making prediction but seeing how the prices are aligned with features and detect variations. We are also using data from a brand that is well established and has considerable volume. So it is reasonable to use this is as base case. I could use other variables like the more DRAM and Tablet features (touch screen, detachable), but let us build the simplest model. Looking at the Adjusted R-square we can see this is an excellent fit. And all variables were statistically significant at p<0.05. 83% of the changes in price can be explained by just capacity and screen size. So it leaves very little room for influence by other factors like GPU, DRAM, CPU, touch screen and detachability. Using this model what should Surface Book price should be? The model says $1218 but we see a price tag of $1499. Microsoft thinks it can extract a premium of $281 because of its hybrid tablet or better CPU features. This is not only not supported in the data but also Microsoft does not have the ecosystem and brand to capture that premium (see Value Waterfall). So I posit Surface Book Pro’s lowest model is priced at least $300 more than it should have been. We should wait for price drops soon. ← Is Surface Book Priced Right?